So last week or two weeks ago or whatever (my sense of time is fucked right now) I saw Floor play during their reunion tour at the Empty Bottle. The tour was also in support of their lavish Robotic Empire Boxset. Floor was great but not as loud or rumbling as I expected, I remember Torche being way louder and thundering all the times I saw them (Torche was the band spawned from the ashes of Floor.) That was probably due to the fact that Torche had all their gear recently stolen the last time they were in Chicago. Bogus. Anyways, I'm getting side-tracked from the point of this post. My friend who was at the show with me asked if there was a band called Dove or if he was confusing it with the “Dove” record released by Floor. I told him that there was a band called Dove that had former members of Floor in it. 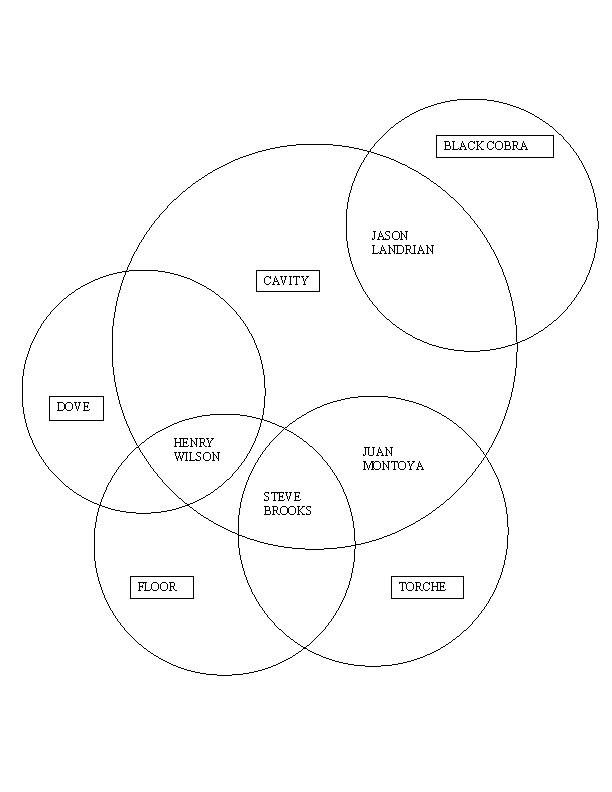 That got me thinking about all the Doom bands from Florida who shared members, but I quickly gave up trying to organize it all in my puny brain. 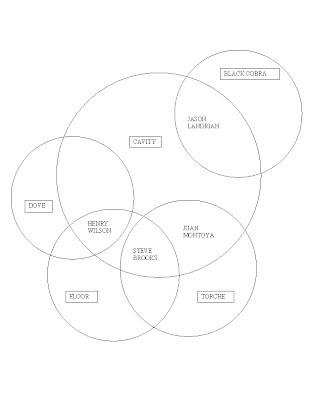 I forgot about it until I ran across this Venn Diagram on the Crustcake blog today. I can now sleep soundly.